In Holywood, Scotland, you’ll discover this magnificent spectacle. 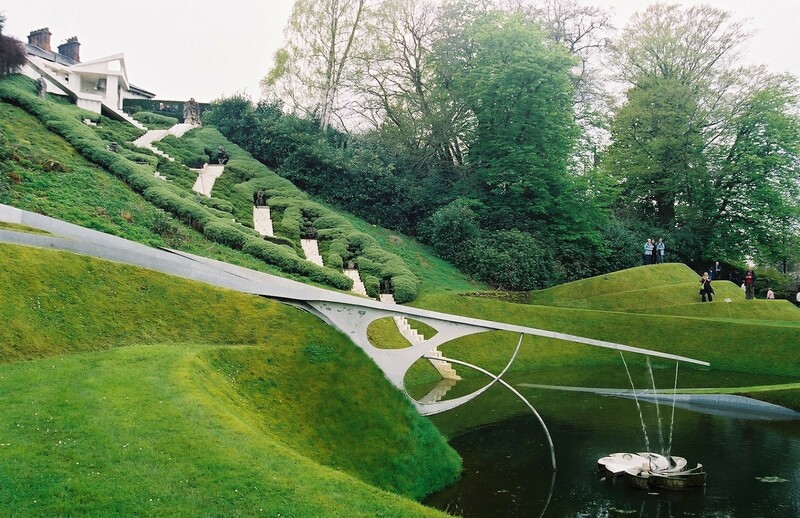 It’s a garden with a definite twist, designed by an architecture theorist named Charles Jenck in 1989. The garden covers 30 acres, in which you’ll uncover artworks, science and nature all combined to play tricks on your mind and eyes. Some of the inspiration came from black holes, string theory and the Big Bang. You’ll discover a water cascade representing the story of the universe and features on land and water that mimic fractal geometry. Ballymoney, Northern Ireland is where you’ll find the creepy lane that has been dubbed the most mystic and spooky lane in Ireland. The hedges were planted by the Stuart family in the 1700s and have recently been used in the filming of Game of Thrones. In Cornwall, there’s a mount that’s sometimes visible and sometimes not. It is a tidal island, one of only 43 around the UK that are within walking distance of the mainland. The mount is only accessible at certain times, so make sure you don’t get stranded. It’s not uninhabited either as it’s home to a medieval chapel, a handful of houses, a graveyard for drowned sailors and a castle. It offers a fascinating history that you can learn about on pre-arranged tours. Gwynedd, Wales is home to a rather bouncy destination! Deep in the In Llechwedd Caverns, there is a subterranean play area for young and old. 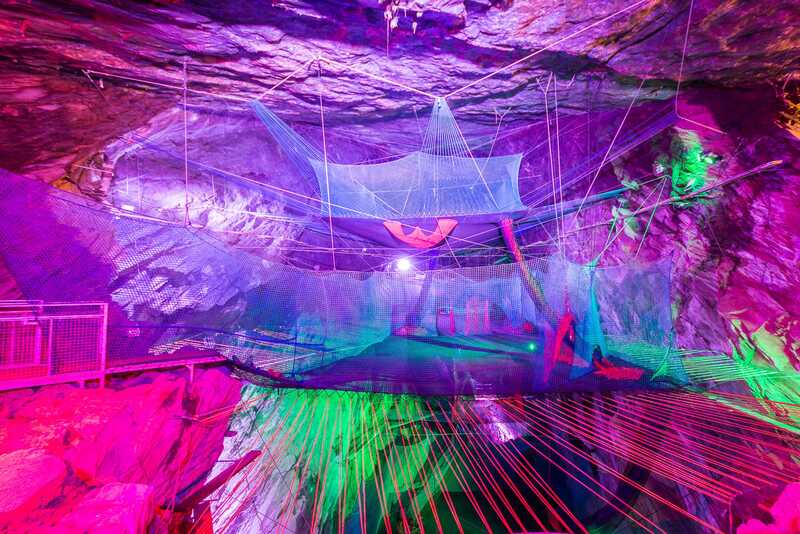 This disused slate mine has become a trampoline park that you can only access by riding an old mine train! To get between differently sized trampolines, you must crawl through tunnels, go down spiral stairs and move along an industrial-sized slide. Not for the faint-hearted! A visit to London is not complete without seeing the Baps Shri Swaminarayan Mandir, the first stone temple built in Europe. This stunning Hindu temple is also known as Neasden Temple. It was constructed in the traditional way using original methods and materials. It is a stunning sight of white stone and the interior is every photographer’s dream.